Say thank you. To everyone. And mean it. You hear it all the time, perception is reality. Especially in sales. Keep this in mind: chances are your prospects aren’t thinking of you right now. They’re thinking of themselves. Every day my dog chases something out of the yard. He’s yet to catch anything, but seems pleased with the effort and gets on with his day. There’s a lesson for us in there somewhere. Before you send that last email today, consider making a call instead. Even if you leave a voice mail. I’m calling because. . .
How many spam calls do you get on your phone these days? I looked at my recent calls tab, and I’m averaging three a day over the past two weeks. And that’s with call blocking! Roughly once a week, one of those unknown numbers leaves a message. A robotic, “After an IRS audit we found that there was a fraud. . .” was yesterday’s treat. Two weeks ago I ordered a pair of boots from Backcountry. 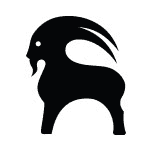 You may have seen their little goat logo on a nearby Toyota 4Runner. A few days later, an unknown call from area code 801 (is it Frank? Greg? Sylvia?) and a :30 second voice mail. I started telling books shopping stories in April of 2016. It took me months to find and lose an agent. Multiple re-writes to get to something I could live with. A few weeks to get an editor on board. 3 months to write it. 3 weeks to edit and clean up. Now it’s ready to send on to the publisher. Dozens of drawings. 55,000 words. Prepare yourselves. I’ll be sending you a copy in 2018. Quizzes will be sometime in March. Newsletter #87 – Silence, Scotch, and Online Advertising This Marketing Best Practice Isn’t Working – Why Not?